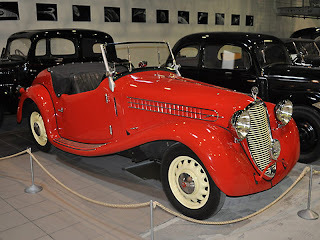 The Škoda Rapid was introduced in 1935 by the Czechoslovakian automotive manufacturer Škoda, and was in production until World War II with some production during and after the war until 1947. The Rapid name has been used again in 1984 to 1990 with the rear-engined Coupe, and in 2011 with the Indian market four-door saloon and the 2012 international five-door hatchback. 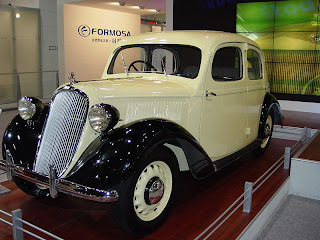 Škoda introduced a new line of cars in 1930s which significantly differed from its previous products. A new design of chassis with backbone tube and all-around independent suspension was developed under the leadership of chief engineer Vladimír Matouš and derived from the one first introduced by Hans Ledwinka in Tatra. First used on model Škoda 420 Standard in 1933, it aimed at solving insufficient torsional stiffness of the ladder frame. The new design of chassis became the basis for models Popular (845-1,089 cc), Rapid (1165-1766 cc), Favorit (1802-2091 cc) and Škoda Superb (2,5-4 L). While in 1933 Škoda had 14% share of the Czechoslovak car market and third position behind Praga and Tatra, the new line made it a market leader by 1936, with 39% share in 1938. 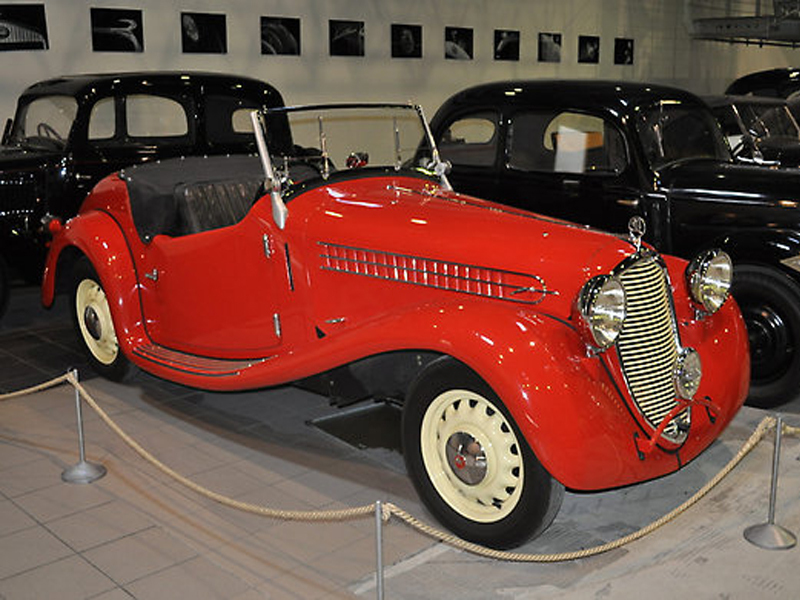 The Rapid was introduced in 1935, at the time being Škoda's second model after the Popular and costing about half than Superb, similar to its contemporary pricing policy. It was a successor type to Škoda 420 Rapid, a small saloon and cabriolet made in 1934-1935. The traditionally styled Rapid was available as a four-door saloon, two-door coupe and two-door convertible. It was launched in 1935 with a six-cylinder, 1165 cc, 26 hp (19 kW; 26 PS) engine. In 1936 the Rapid was given a 1766 cc, 31 hp (23 kW; 31 PS) unit. The Rapid won the 1936 Olympic Games Rally. The Rapid received a significant redesign in 1938 and the introduction of a new engine with overhead valves; a 1558 cc, 42 hp (31 kW; 43 PS) unit. Rapid returned to limited production in years 1946-47. Only twenty cars were made, fitted with in-line six cylinder engine. Last updated on 8 June 2013 at 08:39.